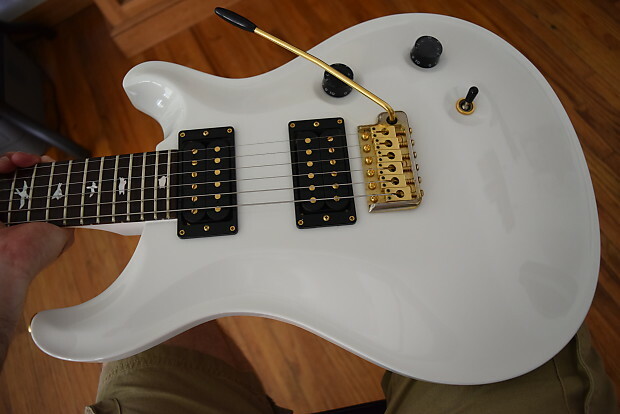 I have a very clean and toneful Paul Reed Smith Dave Navarro signature guitar here. 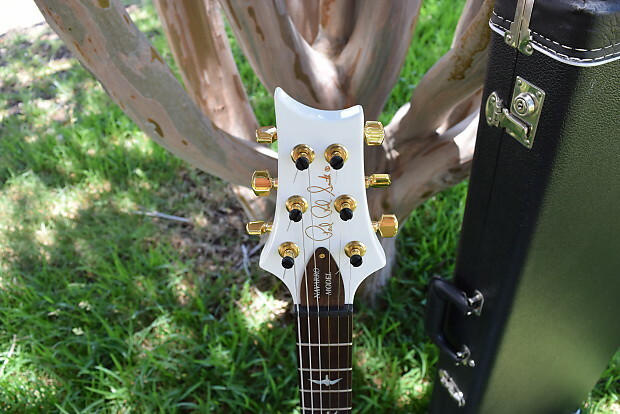 This model has the Brazilian rosewood fretboard. Included with it is it's hard case which is in very good condition as well and it's original paperwork including it's eagle card, and Brazilian rosewood legality papers. Let's start with the condition. 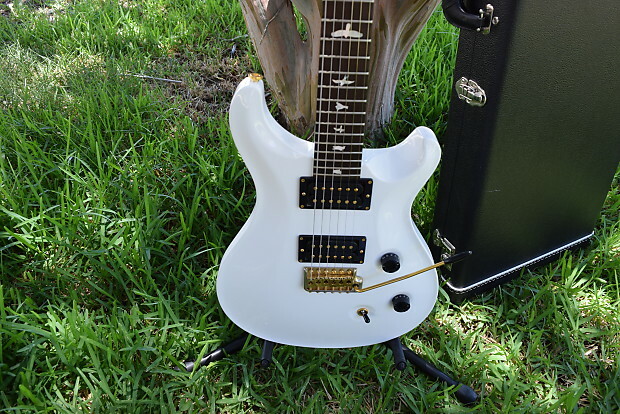 This guitar is beautiful condition and has virtually no playwear on it. It's very close to mind. 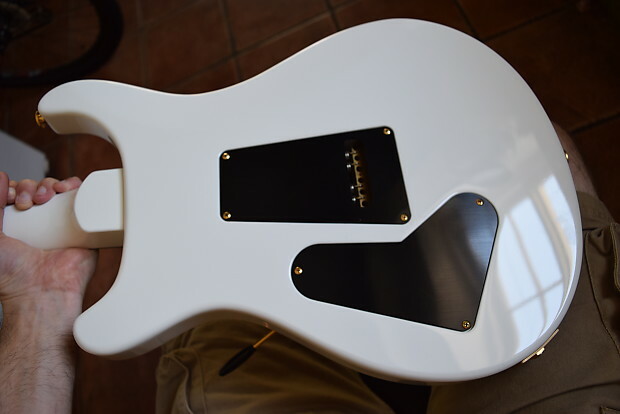 No body dings, of buckle rash, the body edges and headstock are clean, not even strumming pickwear is present. It was played very little. 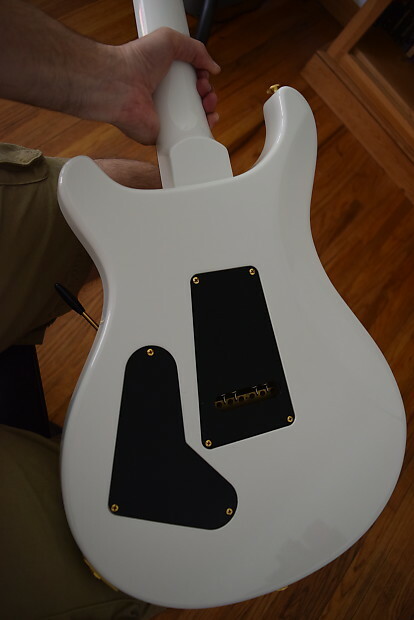 I see little bit of patina fading effect to the gold hardware, and there is one small scratch to the finish on the back of the neck. 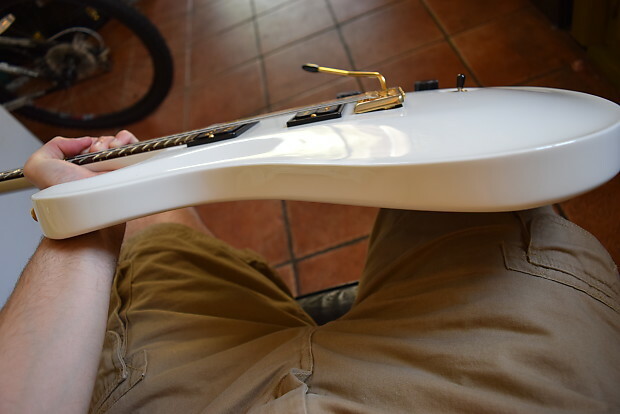 It hard to capture on camera and i cannot feel it with my hand while playing. Overall i would say this is a solid 9/10 condition. 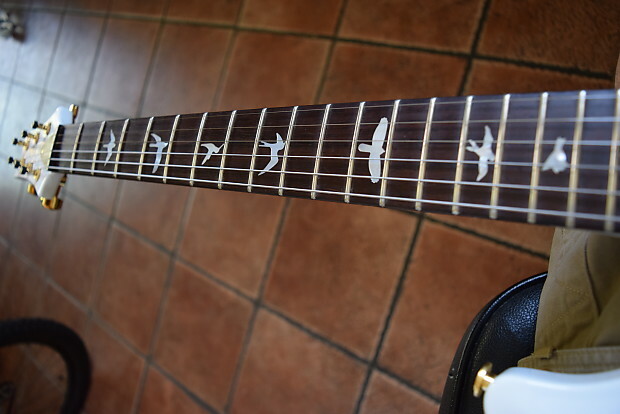 The frets have virtually no wear either. 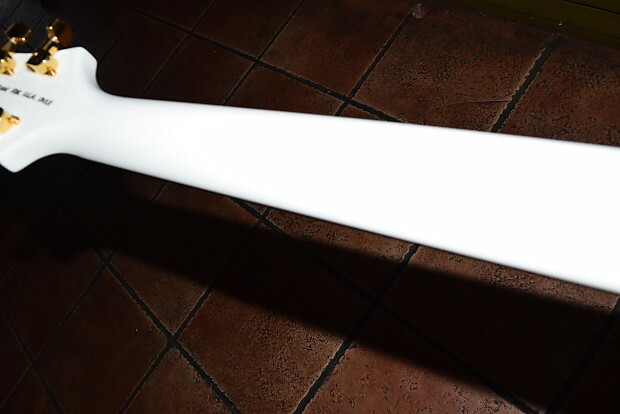 The overall finish looks very glossy and crisp as well. The electronics are working perfectly, and the setup is outstanding. It's plays phenomenally. Now a bit about the Brazilian board and it's effect on tone. 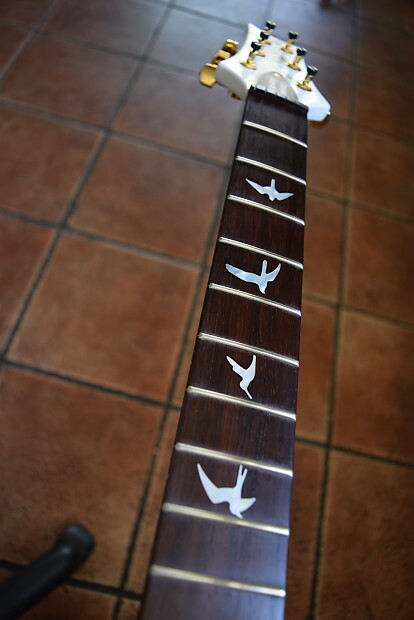 I have been fortunate to have played and owned a few Brazilian rosewood fretboarded guitars. 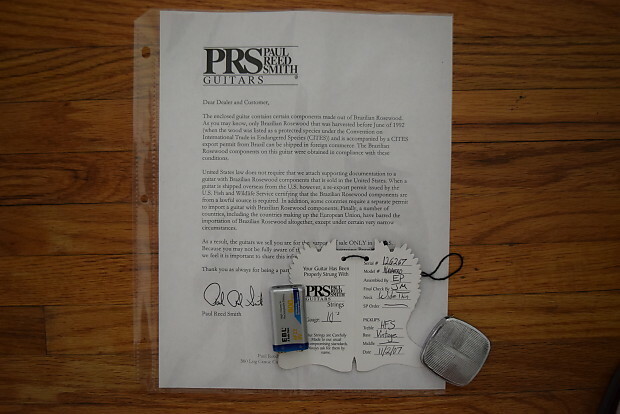 Including previously on a couple PRS's and i studied and compared them to other PRS's that had premium Indian rosewood. My conclusion is that it is definitely not just hype or a premium collectible mystique thing. 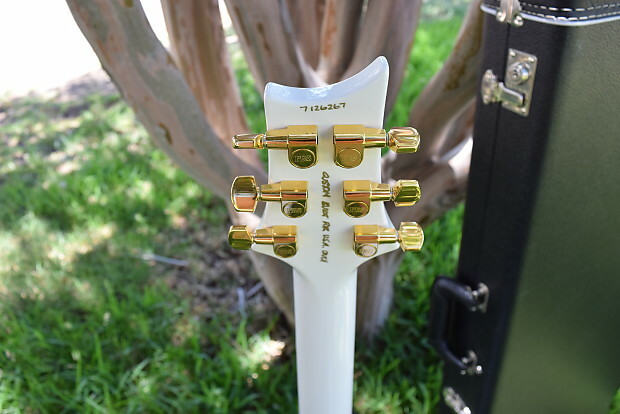 The Brazilian sounds like it projects more, and has more sustain, and it emphasizes the already inherent sound qualities of rosewood. 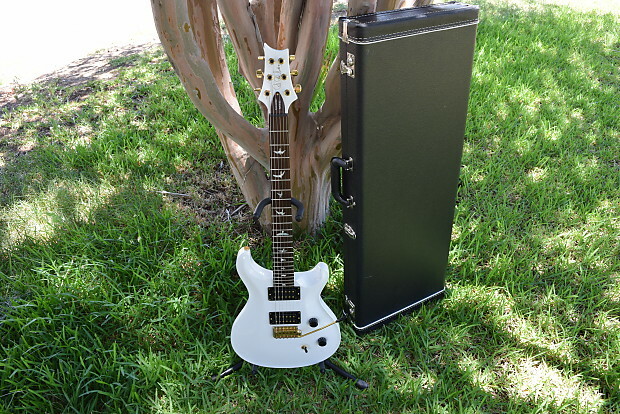 Which is that it sounds "open" , smooth with sweet pleasant sounding treble, and it has a spacious natural reverb effect. I have also heard non Brazilian rosewood that sounds good like that, but only on vintage instruments American made going as recently back as the 1980s. Modern rosewood in the 2000s ( mostly from India or perhaps Honduras) does not sound like this, even on PRS and other high end guitars. So yea the short of it is it does sound killer. It has a little something extra to the tone. Beyond that it is well built core USA PRS with all that that entails. 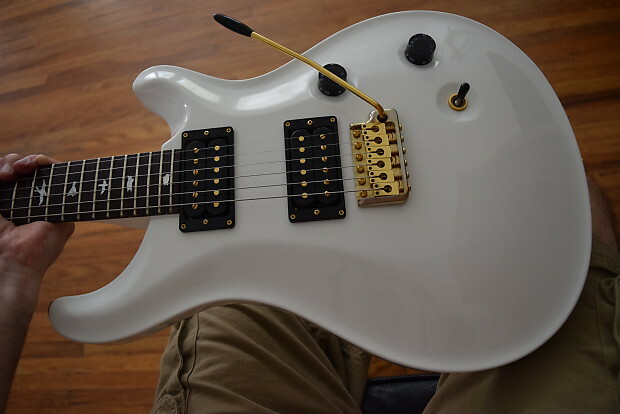 I have a slight preference myself for open uncovered humbuckers. I find that they are a little richer in subtle frequencies and details in the tone. 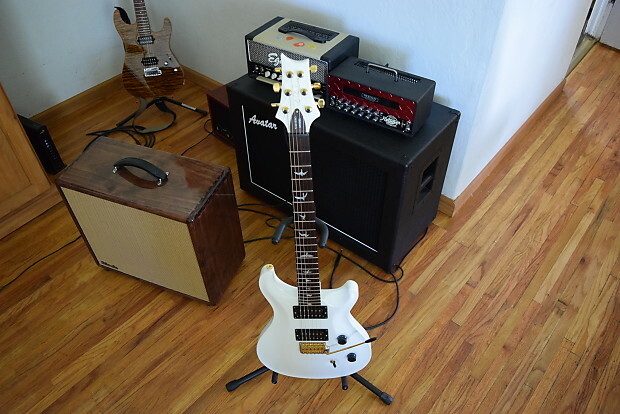 These are the two factors that set this guitar apart from my other PRS's, open coil pickups and a Brazilian board. It's a very well crafted tone. The guitar sounds amazing. 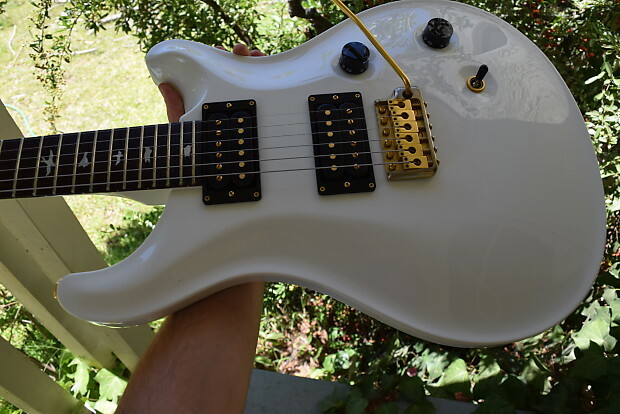 The sustain absolutely sings, it's one of those guitars that you can play a lead note slower if you like on this guitar because it hangs on so long you can milk it. So that's the story on this one. 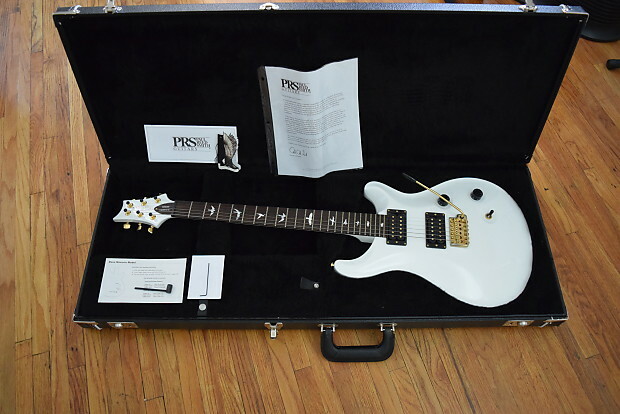 The white color is a bit more subdued then some of the flashy flamed bursts in the PRS world i have found it a little harder to make a gloss white guitar look as stunning in pictures as a transparent burst because the contrast does not show up on camera. But it is classy and beautiful and clearly made from absolute premium materials. 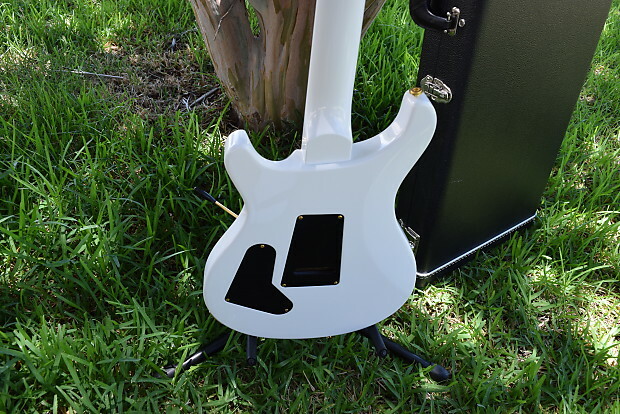 You will sense and feel this when you play and handle this guitar. It's a joy to wield it. Also one care tip. 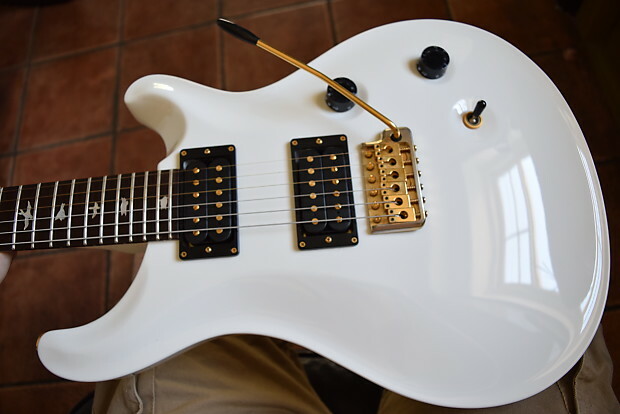 I use a natural product called Fret doctor on fretboards. I gave this one a treatment prior to getting it ready for sale. 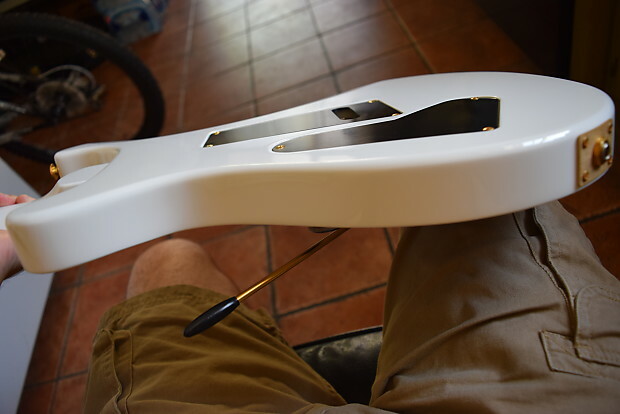 About once a year Rosewood fretboards can benefit from this. It is comprised of natural oils such as lemon oil. 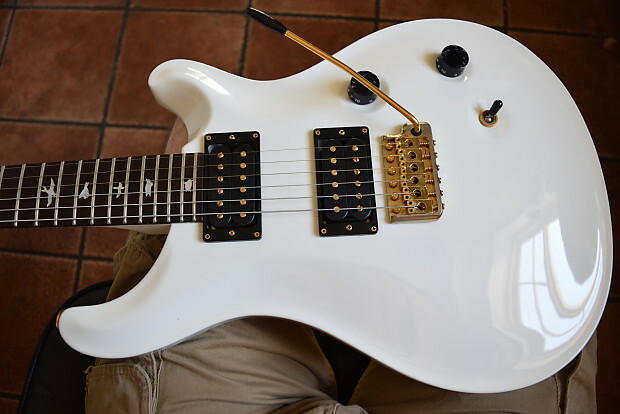 It hydrates the fretboard and also draws out any sweat and dust when you wipe the oil off firmly with a paper towel, so it's both cleaning and conditioning. I highly recommend that on such a nice specimen as this. I will ship it well packed with sufficient filler, with the strings detuned one octave, and it will be fully insured.